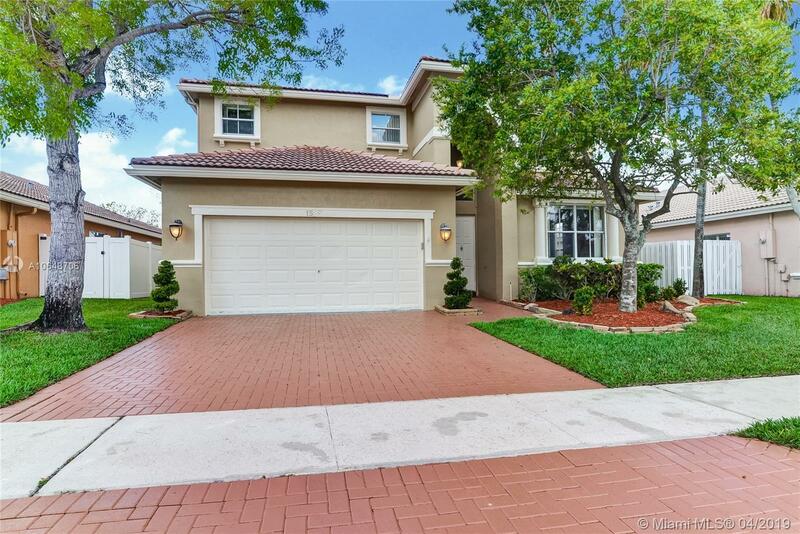 1528 SW 186th Ter, Pembroke Pines, FL.| MLS# A10648706 | Susan J Penn l Best Agent l Buy & Sell South Florida Homes! CURRENTLY *BEST PRICED* HOME IN ENCANTADA AT ONLY $445,000! THIS 4/3 HOME IS ABSOLUTELY CHARMING, QUIET AND PEACEFUL AND FEATURES A FORMAL LIVING, DINING & FAMILY ROOMS, NEW STAINLESS APPLIANCES, AWESOME FLOOR PLAN WITH BEDROOM & FULL BATH ON 1ST FLOOR. INCREDIBLE MASTER BEDROOM SUITE W LARGE CLOSETS. MASTER BATH W 2 DOUBLE SINKS, SEPARATE TUB & SHOWER. METICULOUSLY MAINTAINED HOME INSIDE AND OUT. LARGE YARD FOR KIDS TO PLAY OR TO ENTERTAIN! 2 CAR GARAGE. MANNED GATED COMMUNITY WITH LOVELY CLUBHOUSE, POOL, TOT PLAYGROUND, LIGHTED BASKETBALL AND TENNIS COURTS. LOW HOA!